School Bus Archives - A-Z Bus Sales Inc.
A-Z Bus Sales Leads California in Child Safety Alert System Expertise. If you are like most school districts in California, you are probably trying to make sense of the new Child Safety Alert System (CSAS) laws as a result of the Senate Bill 1072 (link). You are not alone. 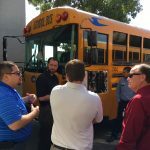 A-Z Bus Sales is leading California in their effort to reduce anxiety and answer questions about the new Child Safety Alert System laws that require all California school buses to be equipped with the latest system by the start of the 2018/2019 school year. 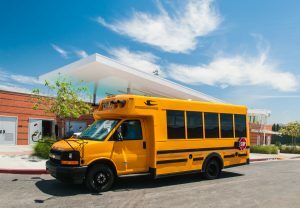 A major California Transportation Contractor specializing in student transportation services found itself with the opportunity for a last-minute transportation contract from a California School District. However, the pending request from the school district proved to be a challenge requiring an innovative and professional solution. 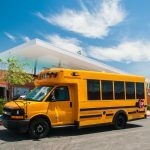 The California School District was experiencing trouble with their current transportation contractor. They needed to solve a problem and solve it fast. The school district turned to the California transportation contractor for their help. They needed to leave their current contractor as a result of poor service. They chose the California Transportation Contractor for their excellent history of delivering quality service to its customers. Tips on preventing heat related injuries for bus drivers and bus mechanics. 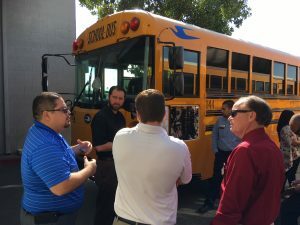 With record-breaking heat, scorching California this summer, A-Z Bus Sales is concerned about the safety and health of school bus and commercial bus drivers. Heat related illness contributes to loss of work, costing employers millions of dollars in lost wages. 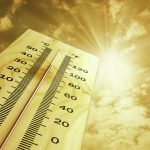 Additionally, if untreated, heat stress can lead to more serious heat related injuries and even death, according to the Center for Disease Control (CDC). Employees working outdoors, such as bus drivers, bus mechanics, and all other professions requiring outdoor activities are candidates for potential heat related illness. The good news is that heat related illness is 100% survivable, if treated early and quick. Copyright 2019 A-Z Bus Sales, Inc.